Do you need to know more info on how to host a bridal shower? These events are usually a lot of fun, but a little planning can go a long ways. Before diving into specifics, let’s start with a little background. There are so many great moments for a bride-to-be: getting engaged, telling friends and families, and parties thrown in her honor. A bridal shower can be a very fun and rewarding experience for the bride-to-be. Typically, a bridal shower party is hosted by friends of the bride or groom’s parents, neighbors, colleagues, neighbors or friends. It is a time to recognize the bride, the upcoming transition, and to celebrate. The bridal shower tradition is centuries old and started as a way for a lady without any dowry to be able to marry a man of her choice. It was her friends and the community that would help her in every way possible to marry her love. The tradition of bridal shower evolved with time and became more informal in the early 20th century. 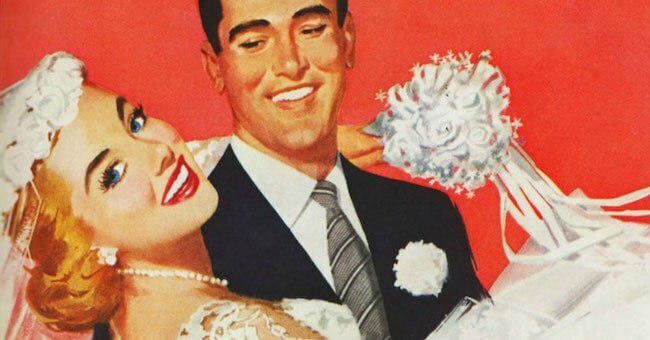 The party, however, became more structured in the 1950s when the profession of party planning was created. Today, the bridal shower celebrates the style and personality of the bride. When you consider a theme for the event, it will be best to start with what the bride loves. Think about coordinating the favors and decorations to create a successful event. The following guide provides you some fascinating ideas, planning tips, and venue suggestion to ensure that you have a great bridal shower. When it comes to party prizes, it is always best to carry an element of surprise. Make sure your guests leave with some great items. It’s not essential that the prizes be expensive. You can create your own surprise prizes containing beauty items including mascara, lipstick and much more. The photo booth doesn’t have to wait until your wedding day. Create a photo booth with a great backdrop for guests to add some little extra fun. You will have more fun memories to cherish. You can also add some fun games to your bridal shower. It is recommended to choose some classic games that focus on the relationship between the bride and groom. Two Truths and a Lie: This is a great game to break the ice. At many bridal shower parties, not all of the guests know each other. By giving each guest an opportunity to introduce themselves through this game, it makes it easier for everyone to interact. Get folks feeling comfortable immediately by letting them talk a little. Romantic Movie Quotes: This is another game that is close to the occasion’s theme. You can print a worksheet having famous quotes from romantic movies. Let the guests fill their forms with the movie titles they can remember. The one with the highest number of correct movie titles will be the winner. You can also get a Bridal Shower Party Kit that has everything including games, host helpers and a lot more to make things more fun. 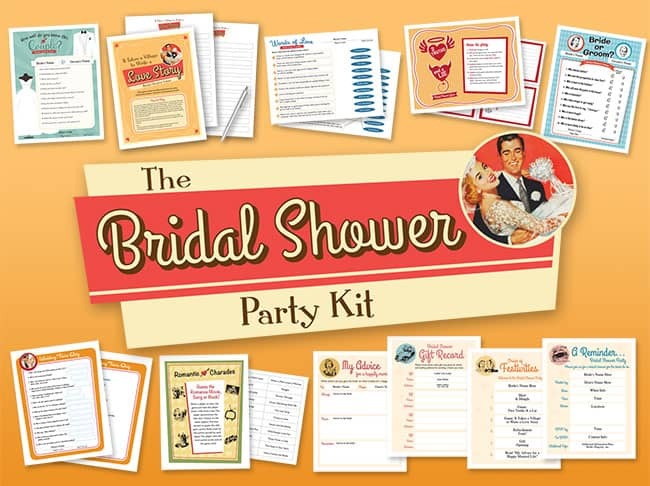 Click on image to learn more about The Bridal Shower Party Kit. You can’t keep flowers out of your bridal shower. You can get all the ladies to create floral works of art. Let each one of them take the beautiful arrangements home. If you are into art and craft, you can get the girls to create “thank you” notes. Your bridal shower can be a full-fledged painting party for you when you plan ahead. It may involve painting beautiful canvases. You may even make it a grand event by having your friends paint your new home. A painting party is a colorful and fun way to create special memories. How about visiting a local winery with your best friends? It can be a wine tasting shower party when you want it. Add cheese to it and the combination can be just perfect. The usual tradition is to hand out favors when the guests are leaving. You can hand them out favors on the way in. it would be best to be creative with the favors. Pick a Date: You can have your bridal shower held anything from 2 weeks to 2 months before your wedding. Guest List: Decide the number of guests based on what you can manage. If it is not a surprise shower, ask the bride for who all she wants to include. Consider the theme and venue: Keep the bride-to-be in mind. Invitation: Create your own invitation or buy it. Make sure to mention it in the invitation if it is a surprise shower. The invitations should be sent 4-6 weeks before the shower. Decide on decorations: You don’t have to go overboard. Some flowers at the table is a nice start. Decide the Menu: If you want to keep it light, tea sandwiches, sweet pea soup, and lemon squares can be just perfect. You can shop for the food a few days before the shower. Plan an Activity: You may hire a tarot card reader or a fortune teller. Another idea is to give temporary tattoos to the guests. Gift: It is recommended to buy the gift a week before the party. Create a gift-opening area and place scissors, notebook, pen, and a trash bag close to the guest of honor’s seat. If you’re looking for the right bridal shower messages, you don’t have to reinvent the wheel. Review some messages that other folks have used, and then personalize it for your friend. Bridal showers can be hosted at someone’s house if there is ample space. The size of a bridal shower party can range greatly. You can choose a venue depending on the size of your party. Many folks just hold the event at a house or apartment. Big events with lots of guests can be held at hotels, restaurants, or even parks. It is usually the hosting family that decides the venue. It’s a good idea to stay in close contact with the bride and matron of honor. Number of Guests: Consider the number of guests who will be invited to your shower. Choose a venue that can accommodate more than the number of estimated guests. Check Photos of Venues: If you can’t visit the venues, ask them to provide photos to get a better idea of how things will look like. Or, check out there website very closely. Get Help: If you are in charge of everything, don’t fall for the temptation that you can arrange and organize everything on your own. If you want the bridal shower to be a flawless event, make sure to get help from other bridesmaids. Even the bride’s family members will be eager to help you with everything including ideas and the cost. It doesn’t hurt to have someone who has celebrated a 25th wedding anniversary help out either. Guest List: Make sure to consult the bride when determining the guest list. It will be best to have the guest list created at the earliest so that the bride can focus on other important aspects of her wedding. If the bridal shower is a complete surprise, consult a close family member to create the list. Invite Everyone: It is recommended to over invite vs. under invite, even if you already know that some may not come. Make sure that the distant friends and relatives are not left out. You should send out invitations to everyone who is important in the bride’s life. Consider a Theme: The bridesmaids can work together to come up with a theme to surprise the bride. The décor and invitations can also be based on the chosen theme. Consider the Date & Location: It will be best to set the date and location a couple of months before the bridal shower. Get the close family members involved when deciding these points. Match Invitations with the Theme: The invitations should be sent 6-8 weeks before the bridal shower. Make sure a special keepsake invitation is set aside for the bride. Mention Gift Guidelines: It is recommended to mention gift guidelines in the invitation, as many guests may not buy them from the registry. Photographs: You can either hire a professional photographer or assign one or two bridesmaids to capture all the important moments of the day. For some folks, etiquette is important to execute a flawless bridal shower. Use your best judgement, but keep traditional etiquette in mind. Involve the maid or matron of honor in the event planning at some level. Bridal showers have traditionally been an all-female affair. But, that has changed in some circles. Couple showers are more and more common. Both men and women can be invited. Couple showers, referred to as “Jack and Jill showers” have become quite popular. It is considered a nice gesture to send a “thank you” card for each gift given at the bridal shower. Make sure that the cards are sent out right after receiving the gifts. When it comes to the guests list, it is a good etiquette to invite all your wedding party participants. In other words, you should invite a guest to the shower if they are invited to the wedding. A destination wedding can however be an exception in this case. You will have to invite more people to your shower. Make sure that the same guest is not invited to more than one bridal shower. The bride and groom’s sisters are usually invited to all the bridal showers. Make sure not to forget inviting the groom’s family to the shower. It is best to involve the bride when creating the guest list. You don’t want to miss someone the bride knows. The gift registry information is best to be included in the bridal shower invitation and not the wedding invitation. Make sure that you send only one invitation to a guest. Send it even if the guest lives within the same household. The gift registry information is best hand-written or printed. Avoid the use of tacky cards that can be placed within the invitations. You may also mention the store’s name where the bride is registered. However, if you want to make it subtler, you may inform the guests through word of mouth. The invitations are best addressed by hand. It is a good etiquette to use the invitee’s formal name – use a ‘Mr.’ or ‘Mrs.’ before the name. As already mentioned, don’t forget to send invitations to even those potential guests who are too far away to visit. It will be best that the invitations are sent in such a way that the guests have at least a month before the bridal shower. Make sure that the invitation has a contact number and address so that the guests can easily find the directions. The address will also make it easier for them to RSVP. If a personal shower is hosted for the bride, let the girls know about the bride’s clothing size and preferences. These are some of the recommended bridal shower etiquette rules to consider. A lot has changed over the years and many of the old traditions are no longer followed with as much firmness. For example, bridal showers were not part of the wedding program for second time brides. Today, bridal showers are common for all types of weddings. It is also worth mentioning that in the past the shower was held solely for the bride, her close friends and her family. Today, the guest list has expanded, and frequently the groom and his friends are included. Good luck with your bridal shower event. Get ideas for birthday greetings, love messages, congratulation notes, get well soon words, what to write on a sympathy card, what to say to a new graduate, Irish blessings, St. Patrick's Day wishes and more. The Poet can help. • For what to write on greeting cards, emails and letters. • For Instagram captions, Facebook posts and other social media communications. • For scrapbooking and party invitations. • For what to say in person and many more opportunities when the right words matter.